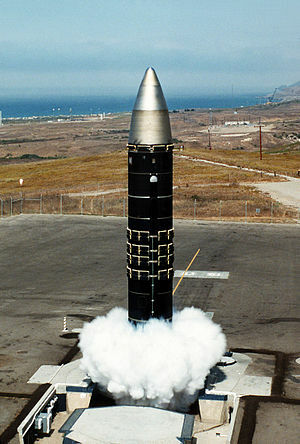 The German idea of an underground missile silo was adopted and developed by the United States for missile launch facilities for its intercontinental ballistic missiles. Most silos were based in Colorado, Nebraska, North Dakota, South Dakota, Missouri, Montana, Wyoming and other western states. There were three main reasons behind this siting: reducing the flight trajectory between the United States and the Soviet Union, since the missiles would travel north over Canada and the North Pole; increasing the flight trajectory from SLBMs on either seaboard, giving the silos more warning time in the event of a nuclear war; and locating obvious targets as far away as possible from major population centres. They had many defense systems to keep out intruders and other defense systems to prevent destruction (see Safeguard Program). 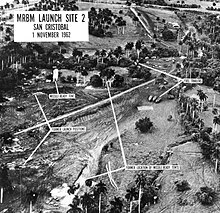 On top of the 3 previous mentioned site reasoning, the US Air Force had other site requirements that were also taken into account such as, having the sites be close enough to a populace of roughly 50,000 people for community support along with making sure launch locations were far enough apart that a 10 MT detonation on near by strategic locations would not knock out other launch facilities in the area. "In 1960 the US Army established the Corps of Engineers Ballistic Missile Construction Office (CEBMCO), an independent organization under the Chief of Engineers, to supervise construction". This newly established organization was able to produce Minutemen Launch silos at an extremely fast rate of ~1.8 per day from 1961 to 1966 where they built a total of 1,000 Minuteman missile silos.